Great post George. When I was in grad school at the University of Wyoming in the late 70’s, I would visit a lek just outside of Laramie. Lots of strutting going on! Today, the grouse are gone. I lament the changing of our landscapes and the concomitant loss of species. I realize a lot of this, but what will replace the ranches? Solar and wind farms, fracking, development, overuse of limited water? I think the impact of human acitivies as a whole puts a whole lot of species’ habitat and future in jeopardy. I don’t think just removing all the cattle is going to do a whole lot. How do we reconcile all of this? As far as criminals, why do we continually give our politicians, especially those with a (D) after their names, a free pass? What will replace grazing ? 2. Social and economic values which protect (a) water quality, at a fraction of the cost of treatment, (b) sustainable economic activities including hunting, fishing, recreation, etc. – all of which are wildly more productive of economic value than ranching, and all of which are currently depreciated in proportion to existing impact, (c) carbon sequestration, a recent follow-up on that Mojave study I wrote about years ago further demonstrates the above-intuitive degree to which public lands sequester carbon from the atmosphere even on arid landscapes – at a degree rivaling temperate forests. Listing Sage grouse will (and is) certainly test the political viability of the Endangered Species Act – but that test will prove to be a unique opportunity, fostering a watershed moment as it relates to our relationship with the land. That all sounds good, on paper of course. Massachusetts residents have inherited a donut hole of unprotected waters. Most people don’t know that all of Nantucket Sound was once protected from industrial development as Cape and Islands State Ocean Sanctuary. This was undone in the 80’s when the federal government took back waters outside of the 3-mile state limit as part of Supreme Court case that involved a number of states in the Northeast – Maine, Massachusetts, Maryland and others. This legislation cannot be undone, and has left our coastal waters unprotected and susceptible to utility scale projects such as Cape Wind. Lest we forget Nantucket Sound has twice been nominated as a National Marine Ocean Sanctuary. Not sure I’m seeing the logic Ida–you’re sympathetic to bundy because the BLM is trying to protect desert habitat by reducing the impacts of cattle grazing? How is that the same as what sounds like the complete opposite situation: putting habitat (Nantucket Sound) back into risk of development? They’re getting their land taken for solar farms, we’re getting our waters taken for wind farms – all forced by the Federal Government. I don’t believe the BLM is interested in protecting desert habitat for a minute – they are strictly the agents of the Federal government’s aims. I guess that’s the downside to being a govt agency–you’re damned if you do and damned if you don’t. Its awful – the absolute worst place to put a large-scale power plant possible, IMO. Almost as if they have absolutely no regard for our livelihoods, terribly endangered right whales, or anything else. Ida, I worked for the BLM for 37 years in western Oregon and unfortunately I agree that politicians made management decisions instead of scientists. We knew we were overcutting timber to the detriment of the northern spotted owl but top managers would not listen to the folks on the ground and the scientists. The ESA saved the NSO and it will save the sage grouse. I agree with Brian regarding what should replace livestock grazing. Hunting, fishing and environmentally sound recreation (ie. OHV riding in designated areas, hiking, bird watching). I’m not sure if conservation easements would be feasible but if so conservation organizations could provide funds that protects areas from livestock grazing. It is so irresponsible that livestock gets all the blame for this. if you accept that argument that you must also agree that the introduction of Elk, big horn/Dahl sheep, (feral) wild horse, and Chukar, (to areas where they are not native). which also compete for the same resources. Okay another one. Urban development has encroached more on native habitat which no one in the govt. will admit. Ok another one, by there own study (blm) the raven, which is a protected species cause more havoc/damage to eggs than any other species but lets not talk about that. My last rant, wildland fire is big business, check you stats for wildlife land lost in the past 10 years apposed to the years prior. Ida: Please step back a moment. Bundy in Nevada is not grazing (over grazing) his own land — He is over grazing OUR public land and not paying his lease-fees. It is not his land and no one is putting a solar project anywhere near where he is grazing (over-grazing). Much of the BLM land near Bundy’s little 150 acre “ranch” is kept to low grazing or no grazing because of protections for the desert tortoise. The comment on bison is a bit uninformed. There is a huge pile of bison remains located in Cathedral Gorge State Park and dated 600 years old that would put the lie to that argument. Just because we don’t have “contemporary” historical records doesn’t mean it didn’t happen. You also overlook completely the affects of livestock graing in the 19th century that in part allowed for the grouse boom by removing perennial grass cover and giving the sagebrush a competitive advantage which allowed ts spread. Then shall we go further in to the entire horse issue? Talk about something Nevada ranges are not adapted to! But let’s not talk just about grazing, let’s talk about the total failure of the BLM to stop habitait changing fire or cheatgrss incursion. It has all occurred on their watch, all of it. The problem is not grazing it is federal “management” of Nevada lands and an over reaching federal government. How can you assert that grazing is not a problem and cheatgrass is, when the proliferation of cheatgrass is due directly to overgrazing that disturbs native grasslands? Morton Peck spoke of the change in Oregon’s vegetation in his book A Manual of Higher Plants of Oregon, published in 1941 before the formation of the BLM or the designation of National Wilderness Areas. Bromus tectorum is cheat grass. “The changes in vegetation brought about directly or indirectly through human agency is immense. These comprise first, the introduction of foreign species, second, deforestation by lumbering operations and forest fires. and third, excessive pasturing of domestic animals. througout most of the cultivated sections of the state the native species have been very largely displaced by foreigners.” “Even where there is relatively very little agriculture, these invaders are often dominant; thus the most abundant plant of the whole Eastern Oregon Area is Bromus tectorum , an old-world weedy grass. That’s speaks directly to my point to Steve, thanks for digging that up Barb. I suppose one could still blame BLM in that they are the ones that are supposed to regulate the number of livestock on the ground, but we’ve all see what happens whenever they try to do the right thing and reduce stocking rates. Unfortunately, agencies like the BLM and the Forest Service are between a rock and a hard place–they’re directed by their masters to continue to exploit for maximum profit, and they’re sued by conservation groups to adhere to environmental standards/laws in direct conflict with the former. Why is it called cheatgrass? The first sentence of the first quote is what I figured – but it was always just guessing. Great article. It’s amazing to me that state agencies and large groups of people will blame every other thing (particularly predation from other animals or other animals in general) on a decline of a species and at the same time completely ignore all of the major things that completely decimate wildlife on such a large scale. And to think only 200 years ago North America was just about as pristine as a country can get and bounding with wildlife. The comment about bison is not inaccurate. The main range of bison was east of the Rockies. Occasional intrusions into the Great Basin and elsewhere did occur but the best evidence suggests these were not large herds and the occurrence of bison ebbed and flowed. There were, for instance, bison remains found in Malheur Lake in eastern Oregon as well which has some genetic deformity suggesting a small isolated inbred population. There were also bison reported in southern Idaho and northwest Utah recorded in historic times by the beaver trappers. The evidence suggests that occasionally bison “leaked” over the Continental Divide in small numbers. But small numbers does not invalidate the generalization, any more than one can find some 99 year old grandmother who smoked three packs of cigarettes a day and died peacefully from something other than lung cancer. That still would not invalidate a generalization that smoking will likely contribute to an earlier death. The evidence suggests that large herds of bison were absent west of the Rockies. And the plant communities in this region are highly sensitive to grazing pressure as a result. Define “large herds”. Extensive archaeological evidence supports the existence of bison throughout Idaho. A quick skim through Peter Skene Ogden’s journals also supports the existence of large herds in of bison in Idaho. To compare the first written account of the area to a grandma that smokes too much is a mistake. I would appreciate a link to evidence that suggests otherwise. While it may be that seasonal habits of bison or other differences including artificial water sources for livestock could be the determining factor for grouse habitat I think it’s clear that bison were in the area and existed in large numbers. When Skeen says ” Have never seen buffalo so numerous” its clear there were more than a few leaking over the divide. Contained in the same link are part of the journals of Kittson who also describes “Plenty buffaloes, many killed.” So while these accounts may not be smack in the middle of current Sage Grouse habitat they are reliable historical accounts of bison west of the Rockies and absent any other evidence I see no reason to discount them. The discussion of the numbers of bison that were likely grazing in the intermountain west vs. great plains leads me to bring this parallel. Stocking density of livestock operations (animal units per acre) on rangeland declines significantly as you move west from the tall grass prairie to the dry desert lands in the western US, mostly due to rainfall. It is highly likely that densities of bison populations across this same range of land would’ve similarly declined, due to precipitation and forage volume. As a cattle producer in western ND, it pains to hear such hatred expressed toward my fellow food producers on sites like this. There’s a definite need for all of us to live in better harmony, as Jesus wanted. Have a Happy Easter weekend. The vast majority of remarks on this site do not express a hatred for ranchers. The issue was the dramatic decline of sage grouse due to livestock grazing practices. It pains me to know that at one time there were 16 million sage grouse and now there are only 500,000 at most left. It pains me as I drive through eastern Oregon and see vast areas overgrazed by cattle and see native grasses replaced by cheatgrass soley for benefit of cows. The livestock industry is one of the most powerful groups in the US. Unfortunately I do not see evidence that the majority have your opionion that we need to live in better harmony. Ultimately, I blame the BLM and FS for these agencies control 80% of the land that is grazed in the west. Their inability and ineffectiveness in assuring that streams and riparian areas are protected, native species of wildlife and plants are restored and maintained and that livestock is allowed to graze in a enviromentally sustainable manner. The more overpopulation and the more development of this country and the further we encroach into wild or unpopulated areas, the worse it is going to be for wildlife. It’s not just the ranchers. Watch the YouTube video: Bud Purdy Idaho Ranching and Conservation. I’m sure you’ll find it interesting. A few observations do not disprove the generalization. Just as I can say that harlequin ducks are rare in the Rockies, even though you can find them in Glacier NP, near Yellowstone and a few other places in the northern Rockies. Their main range is the Pacific Coast. The same is true for bison. In addition, I have read all the other trapper and explorer journals I could obtain from other parts of the West. I have reviewed dozens of accounts. What you find is that bison occurrence was a shifting mosaic–an ebb and flow of bison, perhaps driven by favorable climatic conditions (a period of moister conditions that favored greater plant productivity) or other natural stochastic events. Even on the Great Plains bison numbers ebbed and flowed. For instance, in the 1100-1400 AD there was a massive drought on the plains. Bison numbers plummeted and many of the Indian tribes there abandoned the plains and focused most of their populations along permanent water supplies like the Missouri River where many began to grow corn etc. This same drought drove the Anasazi Indians to the Rio Grande). At other times, bison numbers increased due to higher precipitation and plant productivity, and no doubt some “leakage” occurred as the herds expanded from the plains. Even in the absence of long term climate change, there were times when explorers and trappers did not encounter bison for extensive periods of time–weeks or more depending on their travel routes. To give one example, when Lewis and Clark were traveling to the coast across Montana, once they reached beyond the Great Falls of the Missouri,they continued up the Missouri River through what is Cascade Montana, past the Gates of the Mountains through what is now the Helena Valley, past Three Forks Montana, into the upper Beaverhead Valley past today’s Dillon, MT and over Lemhi Pass into the Upper Salmon River Valley without sighting a single bison. Similarity when traveling back to St.Louis from Oregon in 1806 the party split near present day Missoula and Clark traveled through the Bitterroot, Big Hole, Gallatin and upper Yellowstone valleys without encountering a single bison. He reported the first bison sightings near present day Billings, Montana which is a considerable distance east of the Continental Divide. That’s a lot of country without a bison sighting (though they did report seeing bison trails near Livingston, Montana) and there are “buffalo jumps” in other valleys such as the Madison Valley, and near Challis Idaho, among other locations that indicate some further westward occurrence of bison at times. In my review of early wildlife observations for Oregon, I did not find one reference to bison in the state. Even in much of southern Idaho, bison were rare. John Day, one of the Astorians, traveling to the coast in 1811 nearly died in western Idaho and eastern Oregon because of a lack of any game. When Jedehiah Smith crossed the Great Basin from the Sierra Nevada to rendezvous at Bear Lake on the Utah/Wyoming border in 1827, he and his party nearly starved because there was so little big game in Nevada. Even Peter Skene Ogden who did extensive travels in eastern Oregon, northern Nevada, and so forth did not report any bison in that Great Basin country either, though he, like others, did find bison in eastern Idaho and NW Utah. All of these Idaho and Utah references are within a hundred or hundred fifty miles air miles of the Continental Divide–easily close enough to be considered “leakage” from the main bison range on the plains. Other indications of the lack of bison west of the Divide is the fact that most of the native people living west of the Divide either did not have a bison hunting culture (Paiutes in Great Basin) and/or went to great length to hunt bison on the Great Plains once they acquired horses (i.e. Nez Perce, Shoshone, Flathead, etc.). If bison had been readily available to the Nez Perce who resided in western Idaho and NW Oregon, etc. or the Shoshone that lived in southern Idaho and parts of northern Utah, do you think they would annually make huge pilgrimages to the Great Plains to hunt bison at great risk of encountering other tribes like the Blackfeet? finally there is the evolutionary evidence from the plant communities themselves. The native grasslands are intolerant of heavy grazing pressure. Unlike plants on the plains that have low growing points and/or other adaptations like rhizome growth, the main grasses found west of the Divide take a long time to recover from cropping. ( Mack and Thompson 1982) for more on this. Taken together all these references suggest that bison occurrence was rare and spotty. Hardly a major presence and influence on the plant communities of this region. Here’s some of the early wildlife observations for eastern Oregon and southwest Idaho (around the Snake River country near Boise) which I compiled. Wildlife was even scarcer in parts of eastern Oregon and adjacent parts of Idaho which were then all part of Oregon Territory. For example, Franchere (1967) relates the experiences of the overland Astorians who had traveled with Wilson Price Hunt by canoe, horse and foot to the mouth of the Columbia from Montreal. On January 2nd, 1812 the travelers Donald McKenzie, Robert McCllellan, and Mr. Reed, arrived at Astoria and related a story of extreme hardship. According to Franchere, for twenty days, McKenzie’s party followed the Snake “finding nothing at all to eat and suffering horribly from thirst.” Several times mounted Indians approached them, and each time, the Astorians would shoot a horse out from under one of the Indians, then devour it, saving themselves from starvation. They would leave some trinkets as payment. Hunt’s party split into four different groups, figuring that it would be easier to find food to feed four smaller groups than one large group. Individually, each party made its way towards Fort Astoria with varying degrees of suffering. Crooks and John Day, two hunters with the Hunt Party left behind with the Snake Indians to trade suffered terribly. The Indians eventually left them, having run out of food themselves, so Crooks and Day were left their own devices. Crook’s story is related by Ross. Ross (1849) says Crooks and Day gathered some roots, started a fire, and built a brush teepee or hut. But they were so weak, the fire went out and they did not have the energy to start another. Fortunately two Indians happened by who rekindled the fire and gave them venison. Shortly after, a wolf ventured by which John Day was able to shoot. This food gave them enough strength to travel again and eventually Crooks and Day reached the Umatilla area where they were befriended by some Indians. Eventually they reached Fort Astoria. Thank you. I was hoping for something besides trapper journals but when that’s all there is. On closer inspection I noticed even the references to bison in the journals seem to be in one general area. John Work (Leader of the Hudson Bay Company Snake River Expeditions) reported that there were so many Bison in the Big Lost River Valley of Idaho in the early 1800s, that his horses were starving because the Bison had consumed all of the grass. 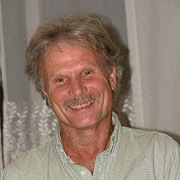 One source that strongly suggests the continual presence of bison in the Upper Salmon Basin for several thousand years is James Chatters’ UW thesis on the Paleoecology of the Upper Pahsimeroi, completed in 1982. I would also suggest reading Warren Ferris, and particularly his map showing the extent of the bison ranges in 1835, as he knew it. I suspect he knew it very well, given his five years on horseback in the country. The Ferris journal, by far the best wildlife record we have of Idaho from this era, also fails to mention sage grouse (as does Work) which is an interesting omission. I have done some research on the sage grouse due to my curiosity about the possibility that the bird is unrecoverable due to the fact that it is a subspecies and not a species. According to the reports I read, the female will leave her territory if she cannot find a male sage grouse to mate with, and her offspring will be hybrids. The way the word hybrid is used it is unclear if the authors meant that the offspring will not be a pure 100% sage grouse or whether or not the offspring will be both a mix and infertile. Although the sage grouse sppears to have originated in North America, its parent is likely to have originated here during the great migration 10,000 years ago when a lot o the birds in the Eurasion Steppe found the grasslands of the West. In the Eurasian Steppe, most grouse have migrated to the boreal forest and only two still rely on the grasslands for habitat. While researching the origins of the horse and burro, I discovered that there is an apparent trend in the wildlife sciences to ignore that natural processes that nature put into place for wildlife and plants to survive during climate change. These changes led to the impressions that some scientists had based on fossil evidence alone that there had been multiple species of horse in North America. However, when these the techniques of accessing mitochondrial DNA of the horse and the plants that existed in the same habitat during the same time became more sophisticated, evidence began to suggest that the variations in size and shape of the horse was at least in part a result of the plasticity of some areas in the species genetic make-up that allows the species to adapt in size, shape, coat thickness, hoof size, nostril and ear shape based on the environment. Although there is no question that human intervention has refined what nature put into place, this phenomena is not only present in the horse, but in other species as well. Therefore, it is not reasonable to expect that the sage grouse will not adapt either through changing physical traits or through migration to a more suitable climate. This is the way that it has happened in nature for millions of years. Perhaps it is time for geneticists and paleoanthropologists to weigh in on the sage grouse. Perhaps there are other factors involved in the grouse’s decline although the ones George mentioned are significant. It’s just that it doesn’t not make a lot of sense to put so much effort into ensuring that a subspecies is not lost. The only way to do this would be to put a net over the entire territory. I am very concerned that a group of scientifically credentialed individuals are attempting to custom design the natural world in their vision, and that their vision not only differs from nature’s, but contradicts it entirely. We have federal agencies with fallible human beings deciding that species that did not originate here cannot live in a particular area. These scientifically credentialed individuals agreed to a prevent, control, eradicate alien species in states where they are found outside their normal range. However, there is no evidence at all that they put any effort in determning what nature had done before human beings came along to build boats to cross oceans or to build bridges. It is of great concern that our climate and species memory is only a couple of 100 years old when the geological and paleoanthropological history of the Earth is so much longer and contradicts the evidentiary challenged opinions of those who proclaim that they are “experts” and should be given the responsibility to determine which species of plant or animal anywhere in the world where their countries signed either the UN CBD or the 1997 IPPC. Meanwhile, in the same Article 8 (h) that makes native wild horses outlaws in their homeland, a special case was made for the case of genetically engineers or genetically modified organisms. Monsanto even had a representative on the first citizens advisory committee to the National Invasive Species Council. So the gray wolf, grizzly, rabbits,cattle, sheep, goats, and swine, as well as two species that always returned to North America after every climate extreme—but were prevented due to the human intervention or they just may have found the Degree Land Bridge through Northern Europe through Greenland back to Canada and regions below. You talk about cheat grass. Wild horses eat cheat grass. They can eat it in the spring when it is tender, but they will eat it once it gets dry because horses eat constantly. They can do quite well on much less nutrient dense forage due to their post gastric digestive system. One of the problems with removing the horse and burro is that their teeth have ridges in them that allow them to chew this dry grass and digest it. Cows only have teeth on their lower jaw and need to pull grass out of the ground with their tongues. The cheat grass grazing machines are locked up in BLM corrals instead of being on the range where they could thin out this grass without adding pesticides and other contaminants to the range. Notice that the range has gotten in worse and worse shape since the BLM began such large removals while leaving millions of cattle on the range. If the BLM were using the type of pasture and land management taught at most land grant universities, it is possible that the degradation that has occurred would not have happened, at least not to the degree it has. It may be time for all of us to insist on getting more highly qualified scientists with specialties in molecular biology, genetics, geology, paleoanthropology, and other experts that have published in rigorously peer reviewed journals. One third of our countries land, water, wildlife,grasslands, and grazing land has been mismanaged or at least 25 years, possibly longer. It is time to correct our attempts to mitigate the natural changes that occur on our continent rather than to study animals like the horse that have successfully adapted to the heat of the desert and the subarctic cold. Maybe we should study the survivors rather than destroy them. The first four paragraphs were accurate, after that this article was simply propaganda with distorted information. “Sage grouse are weak fliers.” Compared to what? Geese? They aren’t geese George. They are strong fliers among their family of birds with the ability to move 100+ km even with broods! “Sage grouse do best on flat to slightly sloping terrain with some streams or wetlands close by.” The highest densities of sage-grouse in Idaho were on the Big Desert where streams and wetlands are few and far between. Many populations thrive in montane environments of the Great Basin. ONE study by Bryan Stevens. No analysis of age of birds colliding with fences in that study but nice attempt to pull on heart strings. The authors did NOT conclude that mortality was significant. They didn’t quantify mortality, only strikes. Rather, the authors concluded “population-level impacts of fence collision on sage-grouse demography are unknown”. Quit pretending to be a sage-grouse expert George in order to further your cause. Sage-grouse are certainly negatively impacted by livestock but the facts matter if you are going to make that argument. You may think you are doing a good turn but misinformation makes it even more difficult for those who are actually trying to conserve the species. Idaho currently has a 10 year research plan to quantify this relationship better. Should be interesting. It will be interesting since the people who are doing it are a bunch of cow apologists like yourself. Thanks Nancy for keeping us educated and on-track to where we should be focusing. PEER is certainly a very special organization in the cause of protecting our public lands.